Adjustable shoulder strap features metal bottle opener. 12 bottle capacity or 18 can capacity. Quick and they look even better than I expected! I would recommend and would certainly order this again! Everybody can be really pleased! this product was great, and was very striking with a full-color design printed on black. It was a big hit at our meeting, and even staff people wanted one for personal use! 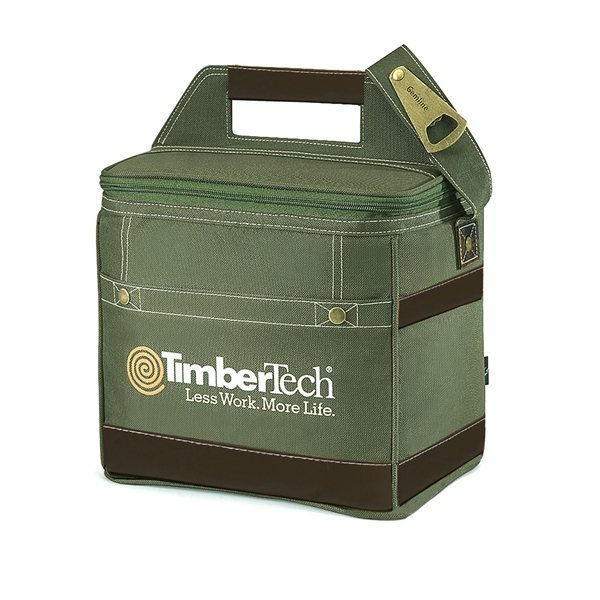 The cooler bag was well-received by the employees the ordering process was simple and my customer was very happy with the end product. You made me look good! Our sales Rep was very good and on top of things.